It’s great when you find a use for your gifts in service of others. 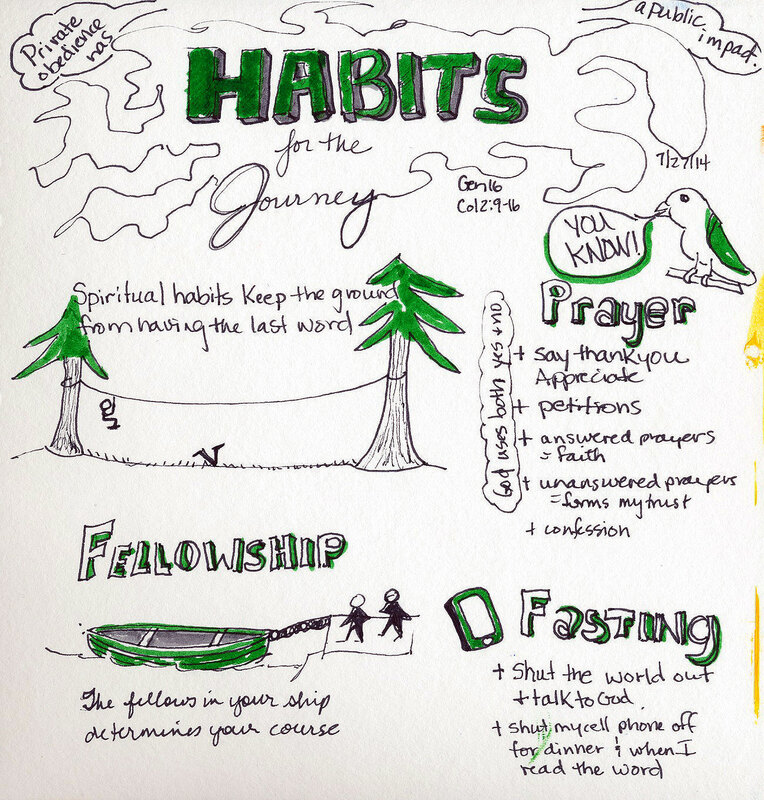 Four of my sketchnotes of sermons at New Beginnings Community Church Bay Area have been published on the NBCC Facebook page. People seem to enjoy them so I am sharing them here also. You can find this one here. The Souffle Pens are very large tipped so it’s hard to draw anything tight. Broad strokes only. This was a good experiment but I went back to my usual pens and paper afterwards. You can find this last one on the NBCC FB page. Hi Mark, that’s great that you tried out sketchnoting and shared your work with others! Thanks so much for the compliment. I’ve been sketchnoting sermons for about a year and a half. That practice really helped and continues to help me develop a visual library that I can pull from helps things go faster. Thanks so much for letting me know what you did with them! Keep going! I think I’ll try again next Sunday! I’m a fan of visual notes. Where do you learn this? BTW…I’m the video guy at NBCC who does the video work. Hi Jamie, thanks for asking! I learned it through books starting with Lynda Barry’s What It Is, the Mike Rohde’s The Sketchnote Handbook and then Eva Lotta Lam’s sketchnotes 2011. I went to a sketchnote meetup in SF as well and practiced for about a year at ALCF before moving over to NBCC. Thank you for doing the video work at NBCC! I’ll look for you Sunday! I make video blogs on my website. I’m having problems memorizing my lines. I’m in Toastmasters and this may help me there too. I’m going to give this a try.